I once read an article about us selfish westerners traipsing all over the world with our ‘do good’ intentions merely to parachute into a destitute area, offer up some colonial style assistance, grab that all important selfie of us saving the world yet again, and jet home feeling like a modern day hero. Whether those that are left behind have actually been helped is sometimes questionable. The article admonished us, declared us narcissists, and in some cases, rightfully so. 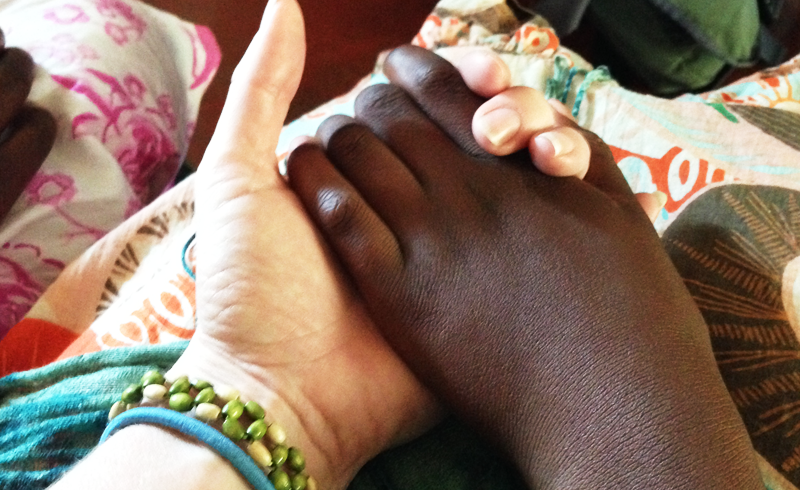 Voluntourism can seem a bit selfish, and I’ll confess my own guilt in the matter. But, I didn’t do it for the selfie – I did it for my soul. 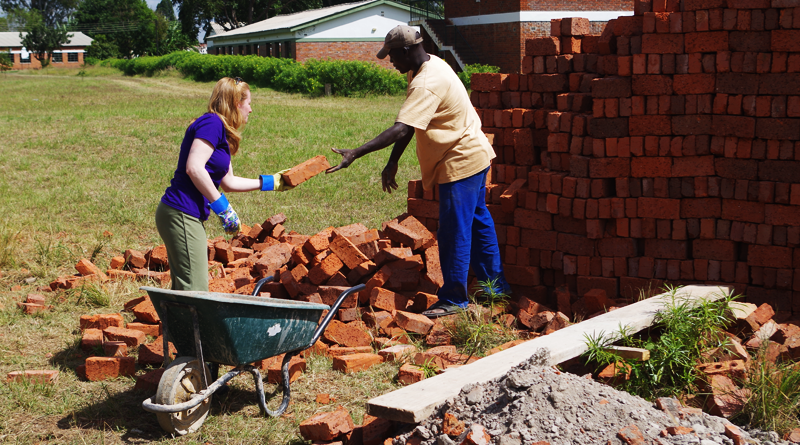 If you’re considering volunteering in Africa, be ready to put on the work gloves. I feel exceptionally grateful for the lifestyle I’ve managed to pull off. Sure, my car is held together by plastic zip-ties, and my television is as old as the stars, but there is ice cream in the freezer, a pay cheque that covers the mortgage and a rainbow of cute shoes in my front hall. I worked really hard for all of this, but I’ve always suffered from that nagging little ache that suggests I’m only this fortunate because I happen to be born in a country built on basic privileges – healthcare, education and the understanding that girls are people too. Nor am I in any position to label others as ‘unfortunate’ simply because they don’t share my lifestyle. They are blessed with so many other things that I would swap my floral print kitten heels for without batting an eye – an unwavering sense of community, the ability to survive on what’s grown nearby, mastering the delicate balance between humility and pride. For when you don’t have a hallway full of cute shoes, other less tangible things become much more precious – relationships, community, compassion and peace. 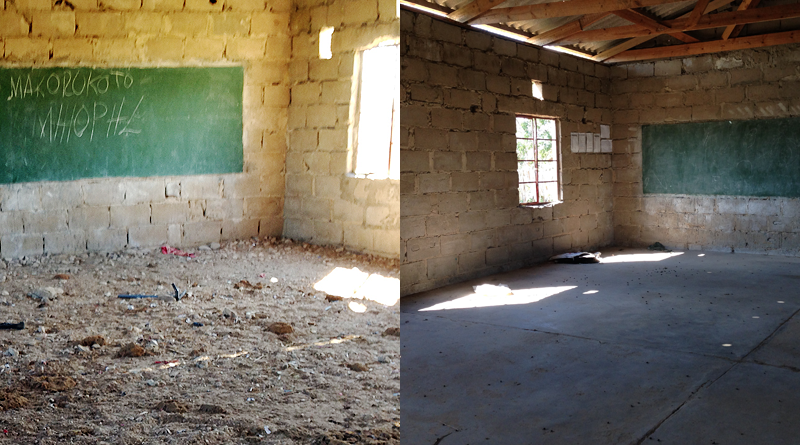 Friends and family helped raise the funds to put in a classroom floor in remote Zimbabwe. Running off to other countries to lend a hand is, in my view, simply an exchange, people helping each other build a better life. 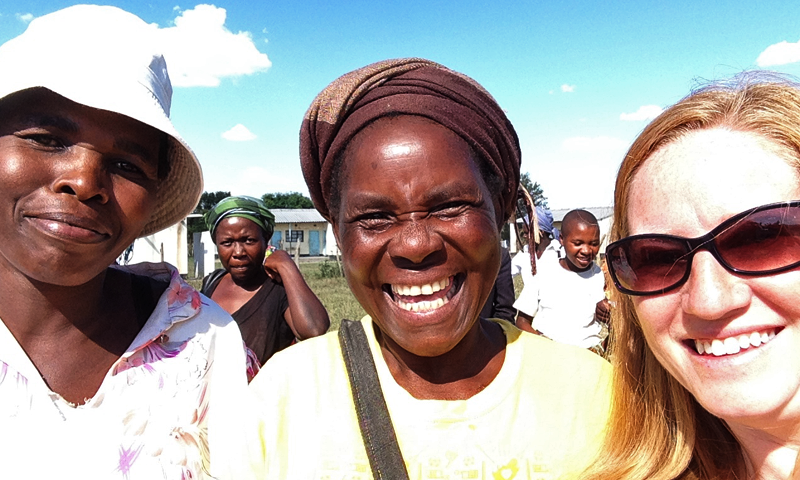 I brought a wad of cash to help build a school in remote Zimbabwe, but they’re the ones that taught me all about generosity. I’ll own my selfishness, for I get far more out of the deal. That little ache is soothed, and my heart nearly bursts in the process. But I also believe I lent a helping hand – young children now have a floor in the classroom, and a family has a more comfortable home. When choosing an organization to visit, make sure it’s on the up and up. I hate to say it, but there are some shifty organizations out there. Consider this – imagine a photo of a sad, hungry looking child, and another child who is smiling, healthy with school books in hand. Which would you be more inclined to donate to? Sadly, some jerks find it more profitable to keep their orphans looking miserable. Ask a ton of questions and get references from other volunteers. Where does their money go? How exactly are they helping? Is your volunteer gig taking away a job from a local? Monika Fox found the best way to trust an organization was to build it yourself. She’s the mastermind behind Give a Heart to Africa based in Moshi, Tanzania, a school that teaches women economics, computer skills and English getting them set to start their own small business. 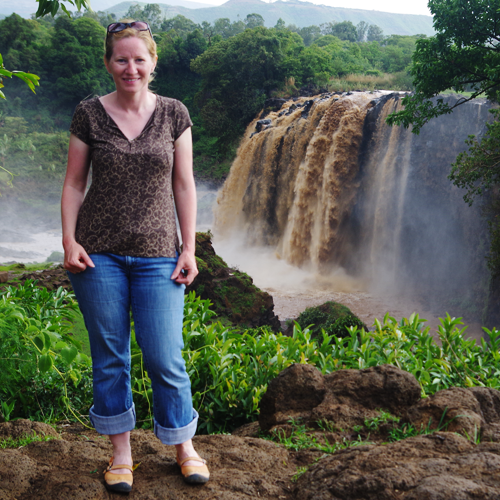 GHTA was founded after Monika, a Canadian, fell in love with Tanzania and wanted to help, but heard too many horror stories of corruption. My stint with Monika was merely a week, but long term stays are encouraged to be most effective. 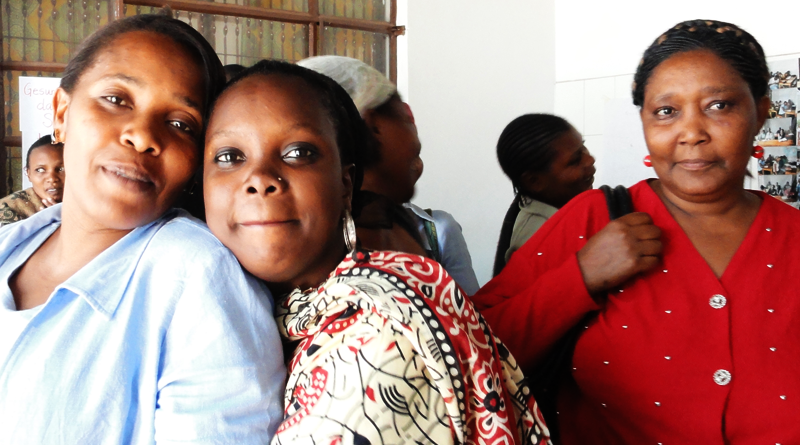 Learn more about GHTA, and check out their fabulous flashmobs. The women from GHTA are the most dedicated students I’ve ever met. Sure, I may be able to speak English well enough, but that’s a far cry from being able to teach it. While helping students cram for their upcoming English exam at GHTA I was inundated with questions like “what’s the difference between in and inside, or on and onto?” Thankfully I was merely an assistant and the properly trained teacher-volunteer came to my rescue. Your time with an organization is precious and it goes by fast. Make the most of it – for the benefit for both you and the organization offer up skills that are already in your bag of tricks. 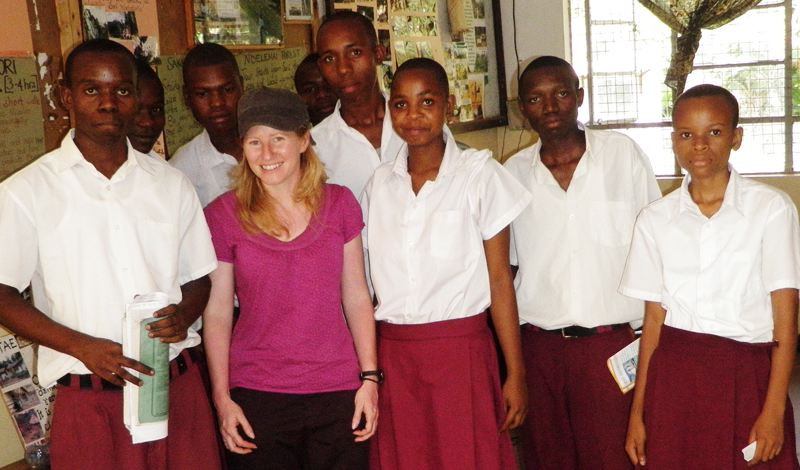 The Friends of Usambara Society in Lushoto, Tanzania focus on tourism and sustainability – two of my favourite things, and I happen to know a bit about both. I was able to help them design a brochure and a website increasing their profile, and I sat in on a few classes as they were training new guides. I made some wonderful friends in the process – a win-win for everyone. A friend and I had raised a stack of cash (to be fair, she did most of the work). Cupcake sales, raffles and such. We didn’t quite have a plan for what we’d do with the money, we just knew that it would be put to good use. Here’s the tricky bit – how do you make a donation without making the recipient feel like they are less than equal to you? We found discretion is key, and knowing within yourself why you are doing it – not to feel like a hero, but simply in the wise words of my mother ‘if you can help someone out, you just do it.’ Because my mom told me to, that’s reason enough for me. The money was divided and distributed in two ways. Bags and bags of groceries were purchased from a nearby market. A couple of locals where we were volunteering helped us make smart purchases – cooking oil, soap, beans and rice. We took a cab into a desperately impoverished area of Moshi, and waited behind while our guide had conversations with the mammas, and months worth of food was delivered to those most in need. We barely saw the recipients, and that was exactly how we wanted it. 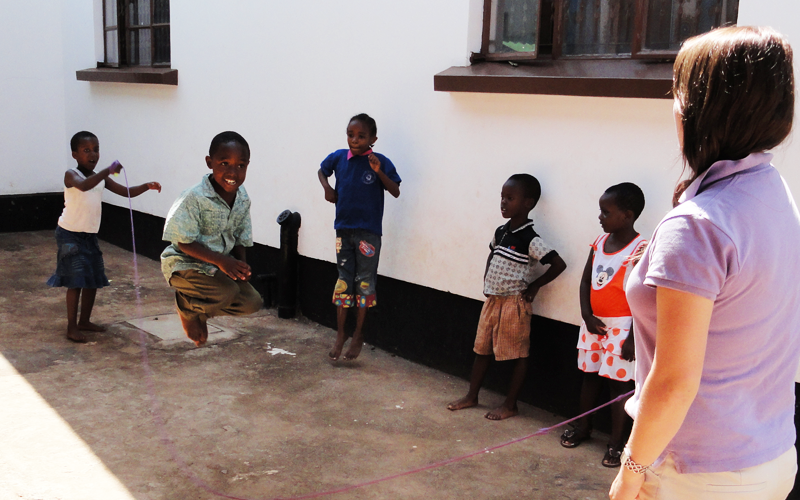 In Livingstone Zambia, we opted for a bit more fun. 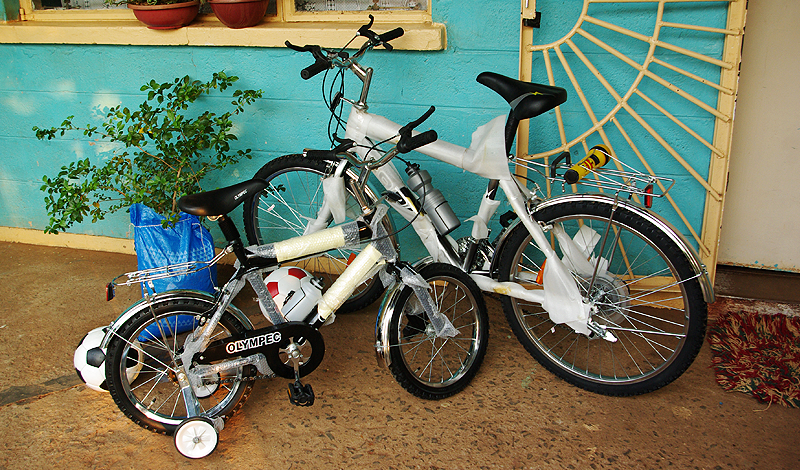 Bicycles, balls, skipping ropes and school supplies were delivered to a nearby orphanage, the Lubasi Children’s Home, recommended by our lodge Jollyboys Backpackers (which is outstanding, by the way.) The best part of this delivery – we only saw the children for a fleeting hello and then they vanished. The kids where treated with such dignity, rather than being put on display for show and tell. Instead, we were treated to a tour of the dorms, the gardens they maintained and the chickens they raised, showing that this was a quality operation. I was thoroughly impressed by how the Sisters managed the donation, clearly documenting each pencil and providing us a receipt from their ledgers. They told of stories of hope, heartbreak and hard work, giving us an appreciation for all they do. “If you are kidnapped, we will not come looking for you.” I knew instantly that World Vision was a class act when I had to sign a stack of waivers and promises. Essentially, their focus is on the community that they are supporting, they don’t have time or resources for your nonsense. I signed papers declaring that I would find my own way across Zimbabwe to their offices, and if I happened to get kidnapped or some other mishap during my visit with them, I was on my own. And so it should be – they’re in the business of enabling communities, not holding your hand. The grandmother of the little girl I sponsor has easily the best smile on the planet. Also, they gave me a pretty thorough once-over, I needed to get vulnerable sector police screening, show them I had insurance, and fill out a giant application. Even with all that, they never left me alone with any children. Bravo! To top it off, even though I had raised more than $600 to donate to the remote community where my sponsored child lived, I was still on the hook for my meals and rustic accommodations. Their funds go directly to administration and implementation, if you want to visit, be prepared to pay for it. Words can’t describe the heart-bursting joy this village left me with, you’ll just have to see it through my rookie video skills. I’m not going to lie – sometimes it gets uncomfortable. Secretly, I am uneasy around swarms of small children. I fear I will break one, or blurt out the secret about Santa or the Easter Bunny. Nor am I a deeply religious person, so sitting in a church filled with a congregation in the throes of high-spirited worship isn’t my thing. And most of all, I really don’t like eating fish eyes. But, I knowingly signed up for each of those things (well, maybe not the fish eyes…) so I sucked it up and jumped in. Apparently I like kids sometimes. Shhh, don’t tell. 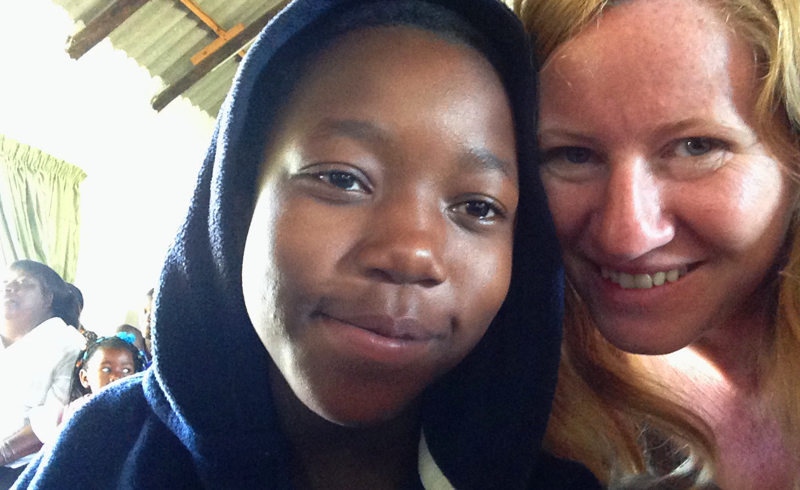 Volunteering at the Village of Hope in Harare Zimbabwe was an experience I will always cherish. Taking 80 kids on a camping safari, being welcomed into a home filled with orphans for some fish eye stew and collard greens, and watching people consumed by unwavering faith is an experience you’ll never gain by booking through a glossy travel agency magazine. These challenges ruthlessly shove you outside your comfort zone where you’ll do your best learning and form memories that will last a lifetime. There’s always the question of whether you’re actually helping, making a difference with your little jaunt oversees. I believe a change is made, though it may not be overt. You gain a healthy dose of perspective and become practiced in kindness (both given and received). The people you meet with receive something valuable too – be it school supplies, an experience or a new friend. I think fundamentally it’s about making connections, sharing experiences and moments that make this earth a bit kinder. That’s not so bad, is it? So, yeah, I got a selfie or two. Call me a narcissist. Volunteering has broken my heart and filled it up all in the same moment. I have been welcomed into homes for delicious meals, given fresh garden veggies in gratitude, held hands of children who won’t know a big sister, watched children squeal at their first crocodile sighting, watched sheer determination in action, sang along in languages I don’t understand and held hands and danced with strangers. Just take a moment to snap a selfie while you’re at it, you’re going to want to remember this. There’s a secret about santa? No, don’t tell me. And I will pretend to ignore the reference to the easter bunny.